Being told you need compression socks can be a bummer. Many people think they are for old people, but anyone can use them. Before, compression socks were boring or even obviously medical. Now, companies like Sockwell are trying to bring fashion and functionality together. What Are Sockwell Compression Socks Used for? 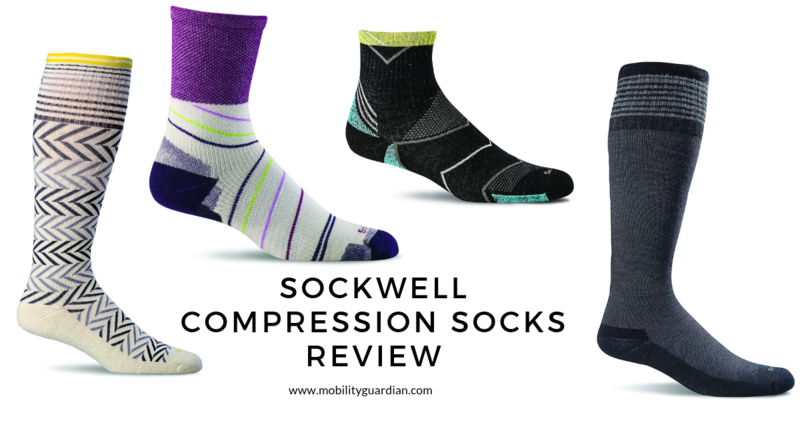 What Makes Sockwell Compression Socks Different? Compression socks are often used for comfort, to help athletes do better in sports, and prevent serious medical conditions. They lessen pain and swelling your legs. They can even stop you from getting lightheaded or dizzy when you stand up. Compression socks are made differently than regular socks. They are tight but stretchy and gently squeeze your leg. The pressure from these socks helps your blood vessels work better. The arteries can relax so that blood flows freely. The veins get a boost to bring blood back to your heart. Blood moving smoothly is good because when they can’t move, blood can pool in your veins and clot. If one of these clots escapes, it could get stuck somewhere that can cause a danger to you. Places like your lungs for example. Clots also make it harder for blood to flow causing swelling, discolored skin, and other problems. Luckily you don’t need a prescription to get these. Though, if your doctor does prescribe them, your insurance may cover it. People that should use them have circulation problems like DVT, varicose veins, or diabetes. They also help people who have gotten surgery or can’t leave their bed for a long time. These socks can help people who have a hard time moving their legs as well. People that have to stand all day can benefit from them, as can pregnant women. Some athletes like runners, basketball players, and triathletes, wear them to get more oxygen. The idea is that better blood flow will get oxygen to their muscles faster and therefore prevent any damage. A bonus is that it will help their muscles recover after their exercise by increasing blood flow. You would be surprised to know at how many people have a hard time putting on compression socks. Many times they will blame the socks for being too tight. You should remember these aren’t like regular socks. Because they are tighter, there is a technique involved. You should always put them on in the morning because that’s when you have the least amount of swelling. You start by holding the top of the sock and rolling it down to the heel. Then, put your foot into the sock as far as possible, making sure your heel is in the heel of the sock. Then, you should unroll the sock up your leg. After it’s in place, smooth it out so there aren’t any wrinkles. Don’t let it bunch up or wrinkle because that will ruin the whole effect. Then you will just have a tight sock instead of a helpful one. Knee length socks should come to 2 fingers below the knee bend. If you are having a hard time getting them on, there are a few things you can try. You can put lotion on your legs, but make sure you let them dry before you put the socks on. You don’t want them to stick to you. A little baby powder or cornstarch can help them slip up. Rubber dishwashing gloves can be used to help smooth out wrinkles. Finally, you can use a gadget called a stocking donner to slide the sock over your foot. How the ratings are measured is mmHg which stands for millimeters of mercury. This is a measurement of pressure also used in blood pressure. These are socks that you can get anywhere. They are mildly squeezing, helping with swelling and tired legs. People use these for sports, traveling, and working. These are stronger than the over the counter socks, but aren’t too strong to be painful. They are good for spider veins, varicose veins, travel, sports, and after certain surgeries. Pregnant women also find them helpful to get rid of the heaviness, swelling, and aching in their legs. These are for those with leg problems that are moderate or severe. They are often used when you have blood clot or DVT. You will need a more durable material for this class because of the amount of compression they are giving. Sheer stockings tend to develop holes pretty quickly. The final class is very strong and you absolutely have to consult your doctor before using this level of compression. They are used for severe venous stasis, wound management, and lymphedema. The most obvious difference is that Sockwell compression socks are made in the US. They partner with American farmers who care for grazing Ramouillet Merino sheep. They want to minimize their carbon footprint and animal cruelty. They are focused on sustainability. The people who make the socks call themselves “yarn architects” and they focus on what the socks are made of. They are made with a blend of American Merino wool mixed Cashmerino/Bamboo and Lamb’s wool/Alpaca Blends. These mixtures will enhance durability, natural temperature control, moisture management, and softness. On their site, they separate their socks into 3 categories. There’s Therapeutic Style, Therapeutic Sport, and Essentials. Therapeutic help with physical challenges and enhances wellness. They have graduated compression, meaning that the compression is tight at the ankle and gets lighter as it goes up. Therapeutic Sport gives you maximum support during and after a workout. They increase circulation, stabilization, and comfort. Essentials are regular socks that anyone can wear. They have Accu-fit Technology to make to make sure that you are walking around in comfort. To give you an idea of what Sockwell offers, we are going to list a few different styles of socks. By looking at them through Amazon, we are going to see what people thought about them. It’s so hard buying clothes online because you can’t try them out until you bought them. Most of the time you can’t return the items as well. So it’s always good to check out what the people who have worn them think. These socks come in 18 different colors. They range from neutral to bright, giving you plenty of options to fit them in your wardrobe. They are made of 32% Merino Wool, 32% Stretch Nylon, 31% Bamboo Rayon, and 5% Spandex. They have a compression rating of 15-20 mmHg. They suggest these socks for everyday use like when you have to stand for a long time or on a long flight. These socks are knee high and should rest comfortably over your calf. The size small/medium fits the shoe range of 4-7.5, medium/large fits 8-11. On Amazon, these Sockwell compression socks have a 4.6 rating with over 1,000 reviews. Perks of these socks are how cute they are and how well the compression works without being painful. Downsides are that because of the wool, they can get warm very quickly leading to sweating feet. Some complained that the socks slide down after a while, making these people have to constantly adjust them. These socks come in 8 colors, some are solid, others are patterned. These socks have a higher compression rating of 20-30 mmHg. They are made of 31% Merino Wool, 31% Bamboo Rayon, 30% Stretch Nylon, 8% Spandex. The combination of materials makes a soft, breathable sock. They have the Accu-Fit that gives a better fit for more comfort. It also has a light cushioned sole. The small/medium fits shoe sizes 4-7.5, medium/large fits sizes 8-11. These socks have a 4.5-star rating with over 300 reviews. People love them for the comfortable material, the fact they can wear them for over 12 overs without pain, and the low price. People don’t like the fact that the sizing is off. Many reviewers said that the sizing is weird. There have been complaints that the socks easily developed holes in the toes. 3 zones of 15-20 mmHg graduated therapeutic compression soothes tired feet & legs. Natural moisture management, odor control, & thermo regulation. Non-binding micro welt, comfort sole, & ultra smooth toe closure. The socks go to the ankle instead of the usual knee length. Even though it’s lower, it still helps with compression and minimizes swelling. It comes in 5 different colors and has a compression rate of 15-20 mmHg. They are made of 32% Merino Wool, 32% Stretch Nylon, 31% Bamboo Rayon, and 5% Spandex. Small/medium fit shoes sizes 4-7.5 and medium/large fits 8-11. It also has a padded sole. These socks have a 4.4-star rating. People like that these socks are shorter and work just as well as knee high ones. They also like the price and patterns. Some complaints that have been listed are that they aren’t as effective as knee socks. This seems like an unfair complaint because the knee high socks are longer, therefore, there is more squeeze to them. Some people have also said that they are not as form-fitting as they were hoping for. These socks rest a little above the ankles and come in 3 different options. They are made of 32% Nylon, 31% Merino Wool, 31% Bamboo Rayon, and 6% Spandex. They feature a firm stabilizer ankle brace and a firm stabilizer Plantar brace. These help support and stabilize the Plantar and Achilles tendon. It has a cushioned heel pad to help ease impact from walking. These socks have a 4.6-star rating. These socks give good circulation support, comfortable to wear in the summer heat, and have colorful designs. The only con mentioned was from the people who didn’t like the length and were going to try the knee high socks instead. First of all, since we only listed women’s socks, we wanted to let you know that Sockwell has all the listed socks for men as well. Second, please consult your doctor before purchasing compression socks. While they help a lot of people, they can cause damage to others if you aren’t careful. One example is if you have delicate skin, the tightness could cause a lot of pain. Plus, your doctor will give you the compression rating that you need. Having that knowledge will be helpful when looking at compression socks online. Sockwell compression socks are well made and functional. The fact that they are made in the US and use American wool is great. Another positive aspect is that their compression socks come in different lengths, which is a change. Most companies only sell knee high socks, which don’t work for everyone. The fun colors and patterns are a plus because no one wants to wear an obvious medical device. Many people in the reviews stated that the colors and patterns made them smile and more confident. The prices of these socks are a bit on the expensive side, especially for one pair of socks. There are cheaper socks that will work just as well. Though they may not have the different lengths. But, they will have the same compression function and choices in colors and patterns. Compression socks, in general, have come a long way in the past few years. Overall, if you have a little extra money and are willing to splurge, then these are a good buy. You'll also support American farmers and a company providing US-made products. Plus, you can try the different lengths and patterns of socks. If you are looking for more of a deal, you should look elsewhere. Other companies offer packs of 3 or more that cost the price of one pair of these socks.